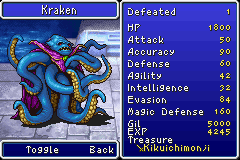 Sunken Shrine 1F is the final floor of the dungeon and home of Kraken, the Fiend of Water. There are no treasure chests or other features of note on this floor. 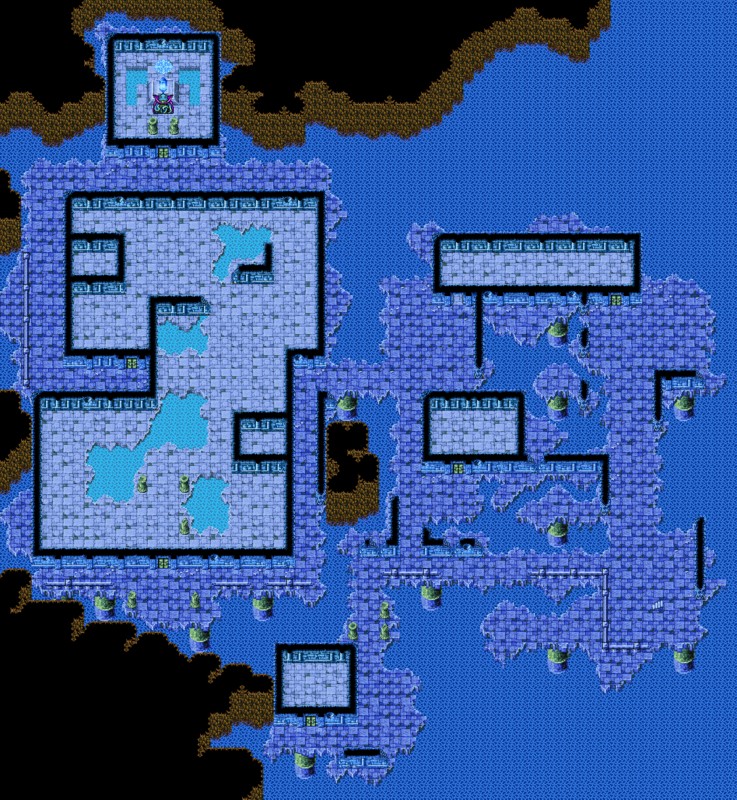 After defeating Kraken, as is the case defeating all fiends, a teleporter behind the Water Crystal will send the Light Warriors out of the dungeon. In this scenario, the teleporter will take the Light Warriors, along with the Barrel Submarine, back to the town of Onrac.